The University of California San Diego ranking is 18th best in the US, and 23rd best on the world on the University Review College Ranking List. It is ranked as the 37th best college by the USnews. It is ranked as the 126 best college in USA by Forbes. The University of California San Diego tuition fees are $13,302 for in-state and $36,180 for out of state students. It is a very selective college taking in 36.8% of applicants. Financial aid offered totals $38 million per year, an average of $11,860 per student. SAT scores for admission requirements (25th-75th percentile) are Math 610 – 720, Reading 540 – 670, and writing 560 – 690. The composite SAT scores range from 1170 to 1390. The requirements for ACT (25th-75th percentile) are Composite 25 – 31, English 24 – 31, and Math 26 – 33. The University of California, San Diego (UCSD) was founded in 1959 as a public university in La Jolla, California, United States of America. It is a member of the ten strong University of California system. UCSD is modeled upon the collegiate systems of Oxbridge, with each college having its own campus. There are around 23,000 undergraduate students and nearly 5000 postgraduate scholars, in addition to the 1,500 staff and faculty. UC San Diego has an endowment of 184 million US dollars. The chancellor is Mary Ann Fox. The schools sports team is known as the Tritons. It is a member of the public Ivy group. 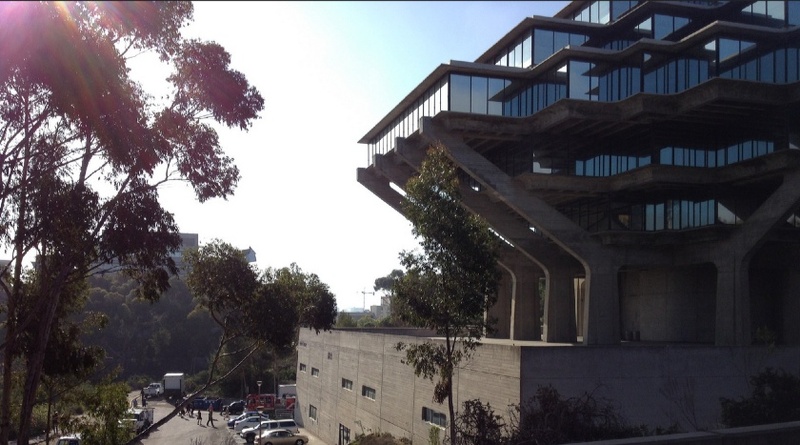 The libraries of UC San Diego hold over 11 million bound volumes. The University of California San Diego library was named after the Children’s writer Dr. Seuss. UCSD library photograph by the UCSDL. As a member of the List of Public Ivy Schools, it is closely associated with institutions such as the University of Wisconsin, Madison, University of Washington (Seattle), and University of Michigan. Other colleges in California include Stanford University, San Diego State University, UCSC, UCR, University of Southern California, UCI, UCD, USB, UCSF, UCLA, UCB, and California Institute Technology. 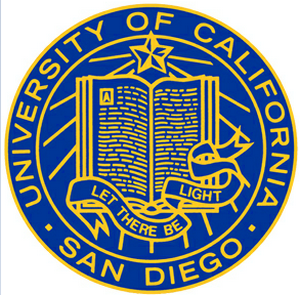 University of California, San Diego; List of California Colleges.